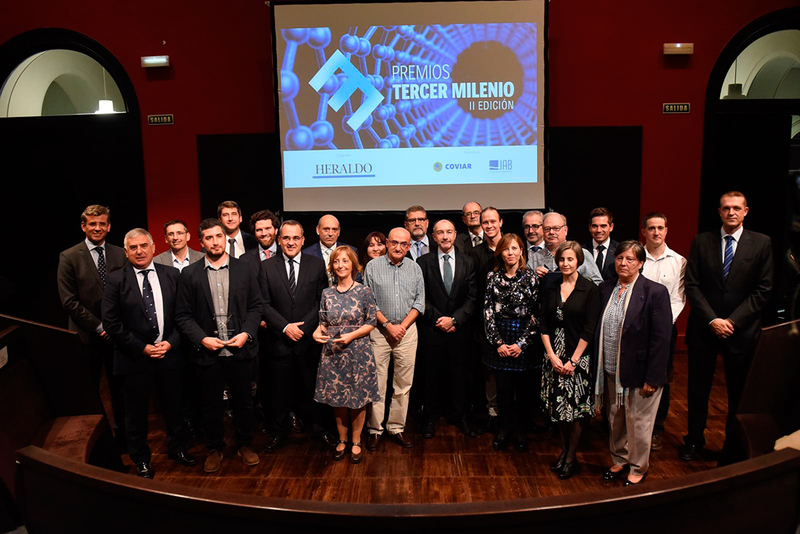 Libelium received yesterday evening Technological Innovation Prize of Tercer Milenio Awards for its revolutionary eHealth platform, MySignals, that was released some weeks ago. 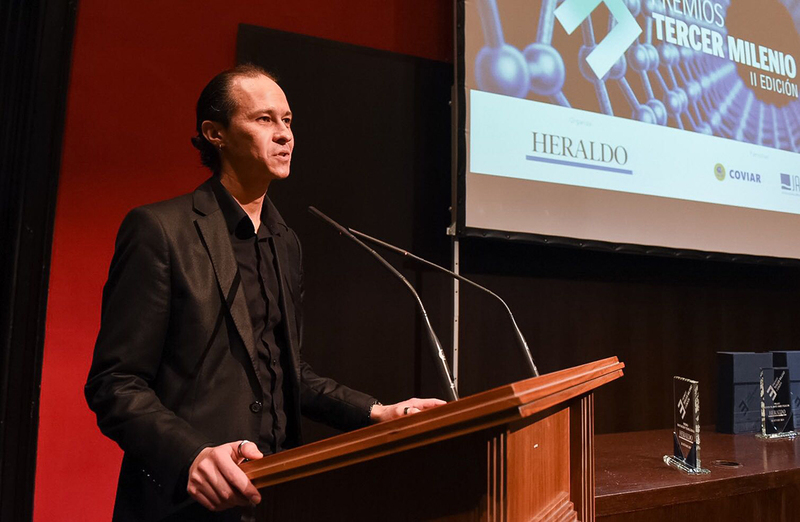 The research community, technological and innovative companies and also scientific dissemination attend to the Awards Ceremony that took place at University of Zaragoza Assembly Room. The event is one of the most significant for technological community which aim is to recognize people, research groups, institutions and companies of Aragón. MySignals is the most complete eHealth development platform able to measure the most important body parameters (ECG, glucose, airflow, pulse, oxygen in blood, blood pressure…) thanks to sensors that can be easily connected. The device works as a hospital monitoring room but fits in a small suitcase and costs one hundred times lower than an Emergency Observation Unit. 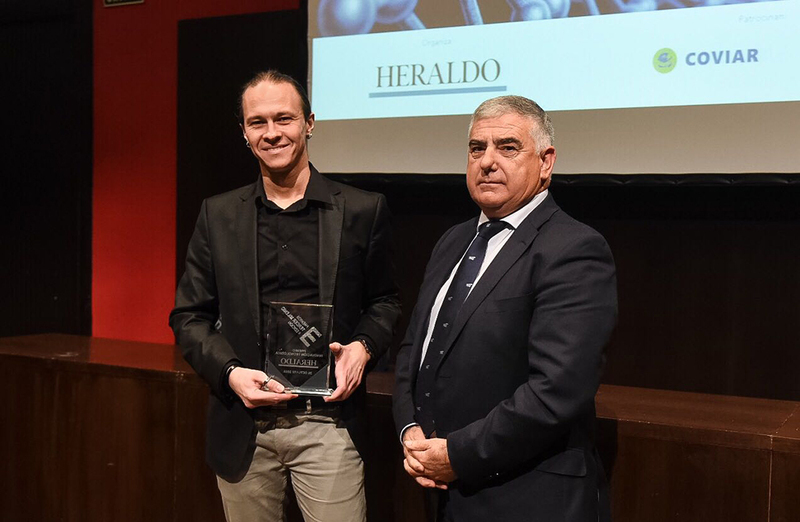 David Gascón, Libelium CTO, received the award and explained why the company launched MySignals: “We want to cover one of the main global challenges: enhancing the universal accessibility to a healthcare system for more than 2 billion people worldwide”. Half of world’s population lives in rural areas with hardly access to clinics or hospitals. MySignals could help to solve this gap because is portable and easy to be deployed anywhere. The jury selected three finalist for each category: Aragonese Dissemination, Science and Society, Science and Technology, Young Research Talent, University-Companies Know-How Transfer, Research and Future, Technological Innovation, Ecoinnovation and Most Promising Emerging Innovation.